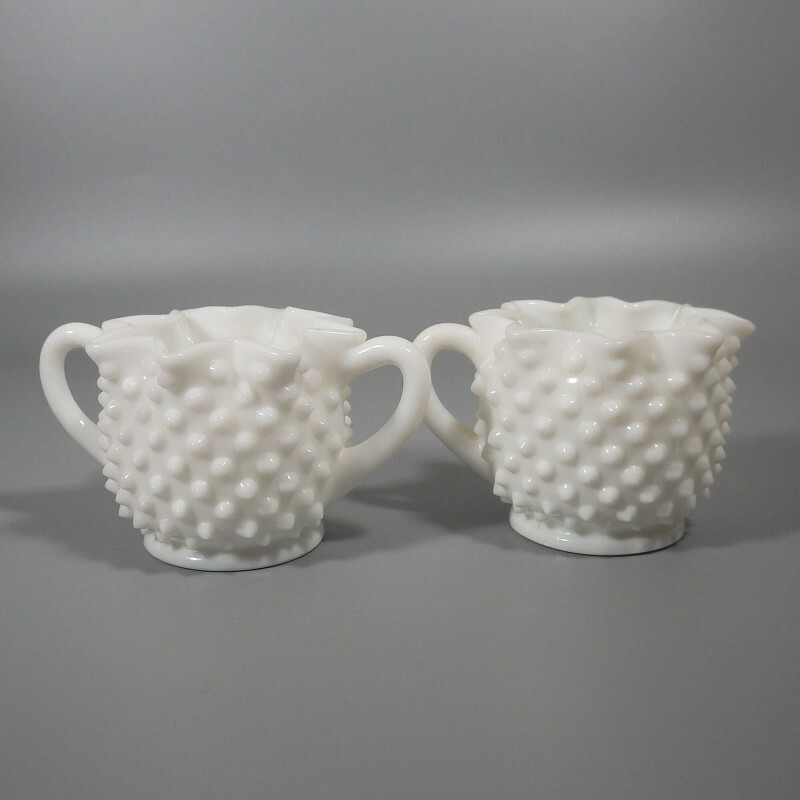 Fenton first produced its 3917 hobnail star-shaped creamer and sugar set in the mid-1950s, with the milk glass version discontinued in 1984. 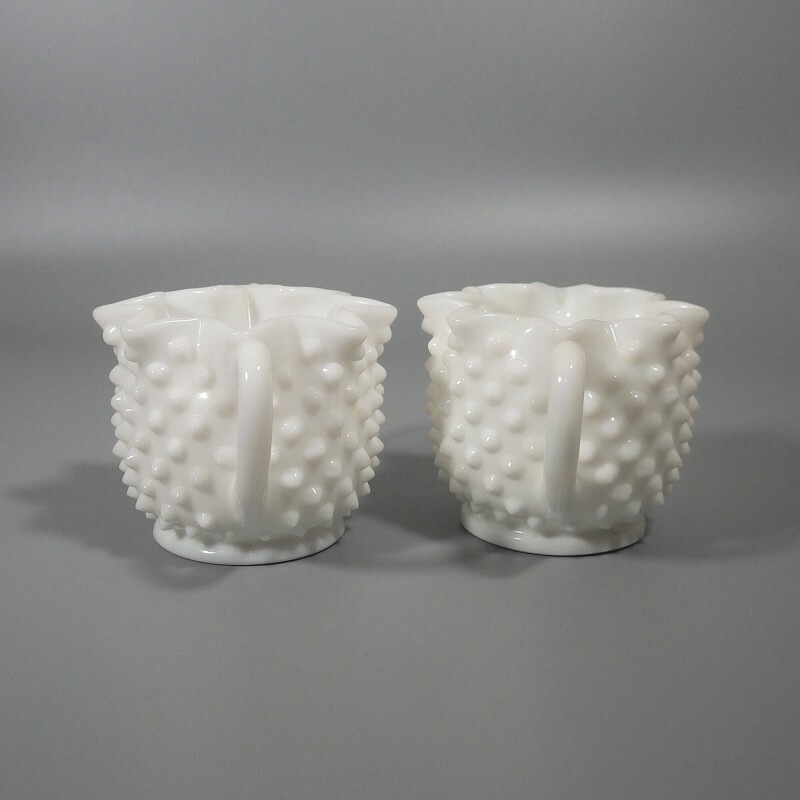 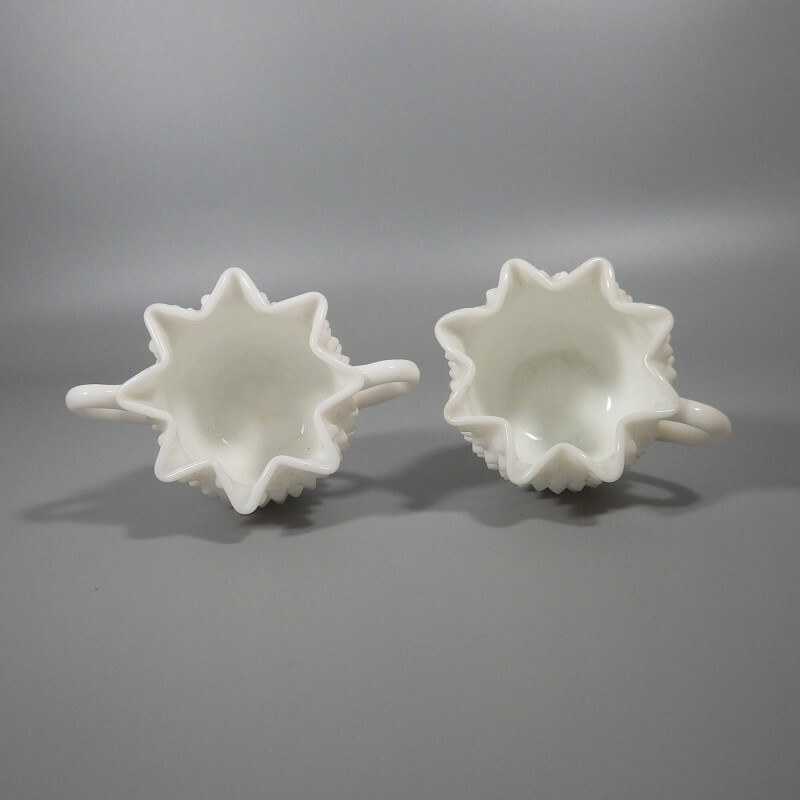 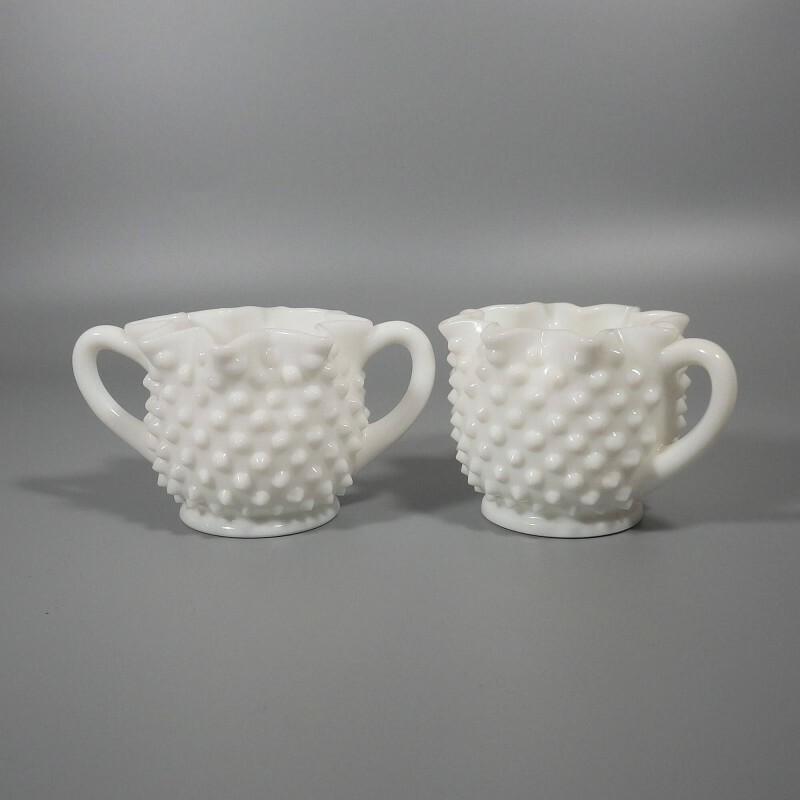 This Fenton hobnail milk glass creamer and sugar set is in excellent condition, with both the star-shaped rims and all of the hobs free of damage. 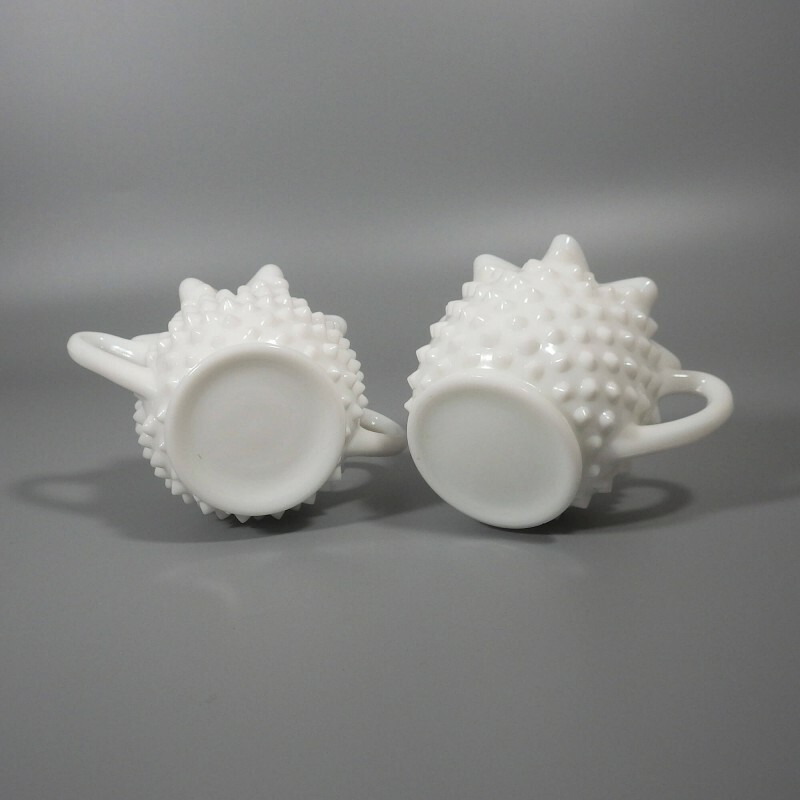 Standing approximately 2-3/4 inch high, the sugar is 5 inch in diameter (handle to handle), while the creamer is 4-1/4 inch across, handle to pour spout. 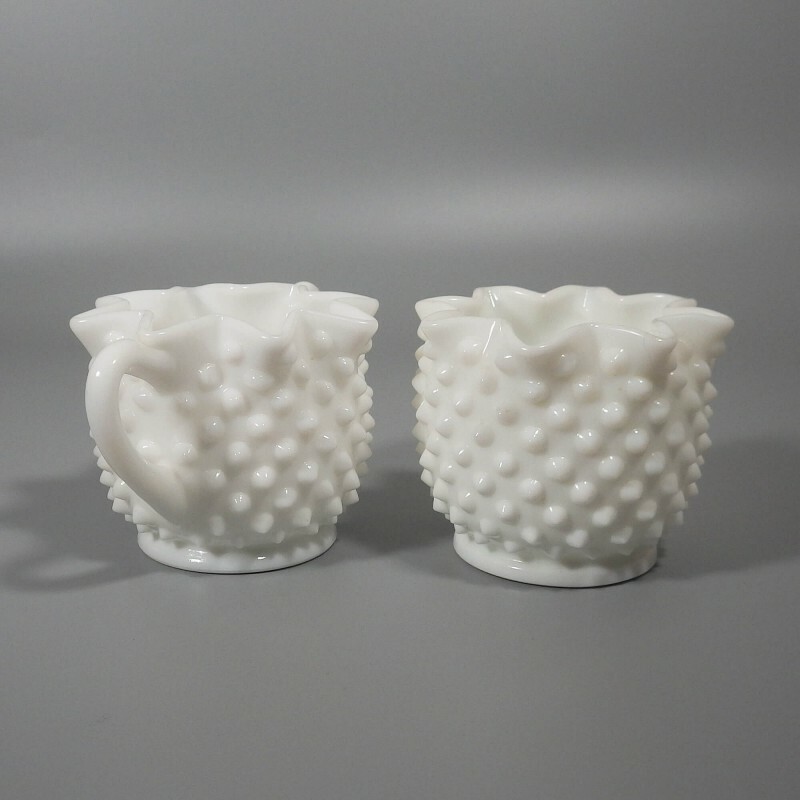 Manufactured prior to the early 1970s when Fenton's molds were marked with the oval Fenton logo.